Is Pinterest part of your social marketing mix? Are your customers on Pinterest? Research reveals that there are 47 million people using Pinterest and the audience is expected to grow. In this article you’ll discover the most recent insights from industry experts on Pinterest’s potential as a marketing platform. 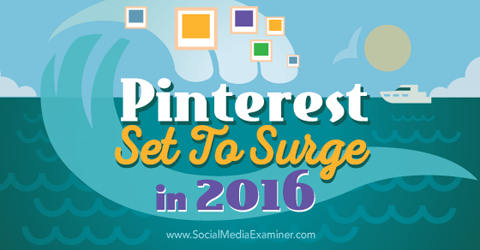 Discover how recent research shows Pinterest is set to surge in 2016. Pinterest’s unique setup gives it more selling potential than other platforms. Because users can follow both boards (or subjects) and individual pinners, the channel leads users to items as much as people. The boards create an ideal stream of product options. In addition to boards showing categories like “fall boot styles” or “healthy pasta dishes,” those devoted to “blue candy,” “edible insects” and even “antique medical equipment” represent the endless possibilities on Pinterest. If you can dream it, it’s on a Pinterest board. 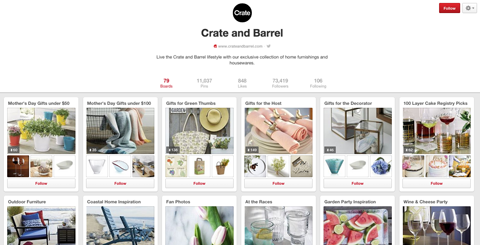 Pinterest’s focus on goods is unique in the social media landscape. Facebook users’ primary purpose is to connect with friends and get news, not to shop. 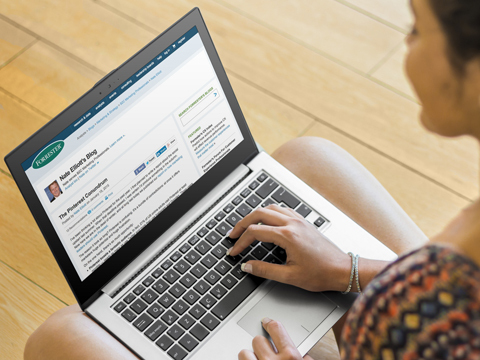 LinkedIn attracts job-seekers and career-builders who want to connect with recruiters and companies. Instagram and Snapchat? Teens and young adults looking to talk to each other populate the majority on those two platforms. Pinterest’s audience, on the other hand, is dominated by women in their 30s with young families—a group that does the majority of the shopping. Pinterest draws this demographic because it conveniently delivers information on a range of products and services women need for their families. Pinterest is a favorite of women in their 30s with families. Image: Shutterstock. This difference has some marketers referring to Pinterest as “searcial,” a combination of search and social. 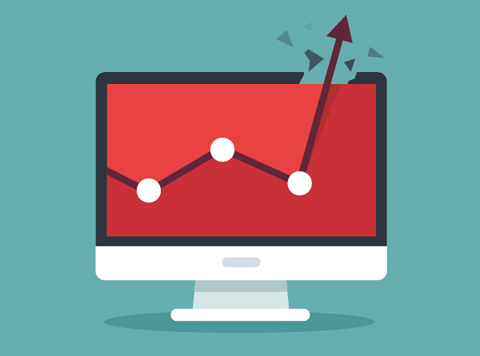 Consumers tend to use search engines for shopping and finding solutions to problems. Conversely, most social platforms exist to connect users with each other. Pinterest’s ability to satisfy both desires simultaneously underlies its appeal. Pinterest’s unique structure makes it a vendor’s friend. Data behind Pinterest use reveals an exciting trend: “Lots of consumers go straight from Pinterest to vendor websites.” This statement from the eMarketer report, Will Pinterest Reach Its Potential in 2015?, finds that the platform does more than just connect people. It sends people to online vendors more than any social channel other than Facebook. That fact is supported by Shareaholic’s January 2015 study of more than 300,000 websites. This study revealed that by December 2014, Pinterest users were bouncing from Pinterest to company websites at a rate almost seven times higher than they were in 2011. In fact, the Shareaholic study reports that 5% of all traffic to the 300,000 websites came from Pinterest—not bad for this relatively new social media platform with “just” 47.1 million users. In appealing to marketers, Pinterest has some solid figures to support claims that its ROI potential is higher than other platforms. 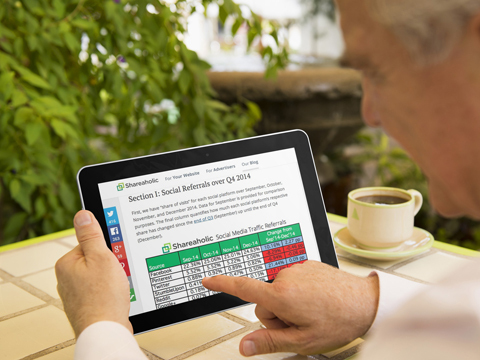 Shareaholic used data from over 300,000 websites to find trends in social media traffic. Image: Placeit. Since 2011, the number of Pinterest users going from the platform to a website has multiplied seven times, far outstripping Twitter and others. Pinterest’s success makes more sense when you look at it in comparison to other social media platforms. The study shows that Twitter, Google+, LinkedIn and YouTube have actually lost ground in sending consumers to websites. In fact, YouTube now sends nearly 95% fewer consumers to websites than it did in 2011. Pinterest is second only to Facebook in the amount of traffic it drives to websites. Facebook’s American audience numbers 172 million, four times more than Pinterest’s. In Q4 2014, Pinterest with its “small” audience of 47 million sent 5% of all traffic to the 300,000 websites Shareaholic studied. While its second-place finish is a distant one, Pinterest does far better sending consumers to websites than older and larger platforms Twitter and Google+. Pinterest’s audience turned it into the shopping tool it is today. Pinterest marketing partner Ahalogy commissioned an extensive study with AcuPOLL Precision Research. Supporting Pinterest as a shopping tool, this survey of 1,300 men and women in the United States found that consumers took time away from paper catalogs and Internet searches to carry out shopping activities on Pinterest. Users replace catalog and Internet shopping with Pinterest. Those users spend freely online, they’re willing to engage with brands in social media, and when they talk about products on Pinterest they drive vast amounts of traffic to brand sites. Key Takeaway: Pinterest’s dominant purpose as a shopping tool or all-in-one catalog gives marketers new motivation to explore the platform to sell products. Keep in mind, however, that its visual nature means that companies must invest in quality photography and position products and services so they’re visually appealing. Pinterest’s unique photo-based model makes it the new catalog-of-everything, but that isn’t the only reason to explore it. Research by Internet data analysis firm Global Web Index, reported at TechCrunch, reveals that the number of Pinterest users more than doubled in the second half of 2014, revealing the momentum behind the platform. In the last six months of 2014, active users increased by 111%, and members increased by 57%. In the second half of 2014, Pinterest increased membership by 57% and active users by 111%. To compare, Facebook gained 6% more members and 2% more active users. Image: Shutterstock. In fact, Pinterest has recently become the fastest-growing channel, surpassing Instagram, which we reported on just two months ago. According to Global Web Index research, Instagram has now dropped to third, replaced by Tumblr and Pinterest. Key Takeaway: Word of Pinterest’s convenience is spreading. Started in 2011, Pinterest has certainly reached enviable numbers four years later. Facebook also took several years to achieve “hyper” growth. In fact, after Facebook’s inception in 2004, it took until August 2008 to start growing by millions each month. Another similarity is that in 2008, Facebook’s audience of 33 million was dominated by 25 million 18- to 34-year-olds, a demographic as limited as Pinterest’s audience of 35-year-old women is today. Whether men, baby boomers and more will begin to use Pinterest as they did Facebook has yet to be seen. Pinterest certainly aims for that goal. As marketers shift from valuing numbers of followers and fans on their social channels to actual sales won through social media, the Pinterest buying audience could prove enticing. eMarketer predicts steady growth for years to come, reaching a total audience of 60 million in 2019; Pinterest’s 24% growth will outshine Facebook’s 9.2%. Also, Pinterest is working harder to widen its user demographic. In a November 2014 Business Insider interview, Pinterest head of engineering Michael Lopp claims the platform has doubled the number of men signing up in the past year, and that its male audience is experiencing faster growth than its female audience. Further, the gender split in emerging markets like India and China is closer to 50/50. Emarketer forecasts steady growth for Pinterest. Image: Placeit. Key Takeaway: Despite Pinterest having a user base one-third as large as Facebook’s, consumer intent could tip the scales in its favor. Further, Facebook’s determination to keep the platform primarily for social connection rather than marketing could stack the deck against marketers. A more welcoming feel at Pinterest and new ad opportunities could turn marketers’ heads. Pinterest is still maturing when it comes to advertising, but many are excited about its potential. In fact, Forrester’s Nate Elliott contends Pinterest will one day drive more sales than Facebook or Twitter, and by 2016, its ad offerings could trump those of other social networks. This excitement stems from the type of data the platform collects from users. Where Facebook collects “affinity” data based on the interests that users type into the platform, Pinterest collects “intent” data that shows what users are actively searching for. Intent data is seen mostly on Google search when people look up their city + plumber, for example. They’re out searching expressly to buy. Affinity data is more passive and intent data is more active; however, both have their value. You can read more about affinity versus intent data in this post by Forrester’s Nate Elliott. Forrester’s Nate Elliott predicts Pinterest will overtake Facebook in sales. Image: Placeit. Big data plays a big role at Pinterest. With more than 30 billion [now 50 billion] pins in the system, we’re building the most comprehensive collection of interests online. At this time, however, it appears that the machine behind the big data is still being tweaked. From the discussion published on their blog, Pinterest engineers are using several third-party systems to process consumer data to make it as accurate as possible. As Nate Elliott reports, Pinterest is not currently releasing the data it may someday have the potential to offer. That’s exciting because analysts view Pinterest’s data as similar to the purchase-intent data that Google compiles. Ads targeted with Google’s data generate impressive direct response (because they’re so relevant to searcher intent), and Forrester analysts believe Pinterest data has the same power and potential. Possibly because Pinterest isn’t ready to create the ROI opportunities companies want, at this time only 56% of top brands have created Pinterest boards. Worse, they’re not posting regularly, nor are they winning consistent engagement. The Forrester report also found that more than half of the top brands haven’t posted in the past week. Coca-Cola hasn’t posted in six months despite having ten Pinterest boards. These facts lead Forrester to add “Not Valuable Today” to their Pinterest study media announcement. According to the Wall Street Journal, Pinterest is currently in talks to raise another $500 million in funding, which may reflect the fact that advertising opportunities haven’t quite reached prime time. The article speculates that the money raised will go to developing their Buy button, a direct competitor to Facebook’s new call-to-action option on the cover photo. Learn how to take advantage of Pinterest’s marketing features in Pinterest Marketing: Your Complete Guide to Pinterest Success. Image: Placeit. Whether marketers jump into Pinterest now to capture early opportunities has yet to be seen. If you’re interested in learning more about Pinterest, check out Pinterest Marketing: Your Complete Guide to Pinterest Success. What do you think? Are your company’s products and services a good fit for Pinterest? Will Pinterest get more attention than Twitter and other social platforms in the next year? 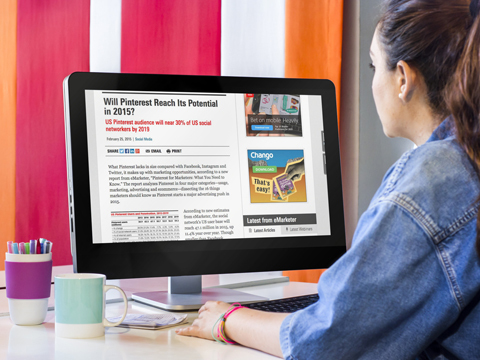 Do you prefer to wait to see Pinterest’s potential before jumping in? Leave your comments and questions below. Pinterest logo photo and Growth photo from Shutterstock. 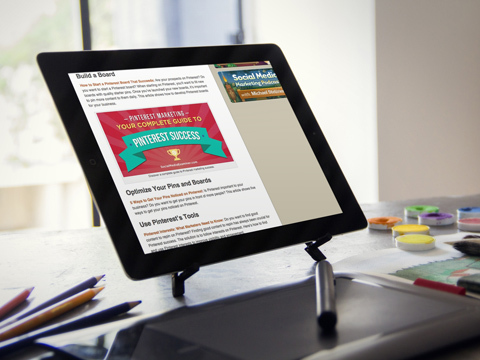 Shareaholic, Emarketer and Forrester website images created with Placeit. Suzanne Delzio is the director of Informed Web Content, which helps small and medium-sized businesses build authority, traffic and reach with search-engine-optimized blog posts, web pages & email newsletters.